PRE-ORDERS FOR FIRST PRODUCTION HAVE SOLD OUT! LIFE EV ELECTRIC BMX TESTIMONIALS. Dom Simoncini and Austin Aughinbaugh. Built with Quality Components such as Disc Brakes by Avid, Battery Cells by LG, Tires by Kenda, Saddle by Velo just to name a few. Scroll down to see more specs. 2 Year Warranty from Prodecotech, for Campaign Backers Only! Made of aircraft grade 6061 T6 aluminum alloy with TIG welding. Oversized Down tube and Top tube for added strength and utility. Design fundamentals from day one were high performance, high power, high stress and high speed in an eBike format. The frame’s Down tube was developed to integrate the battery and SMART controller, protecting them in a 2.8mm thick wall of aluminum alloy. 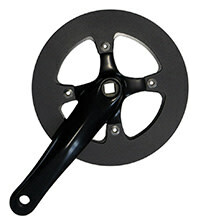 Dropouts are a thick 8mm adjustable torque plates with DISC Brake mount incorporated. 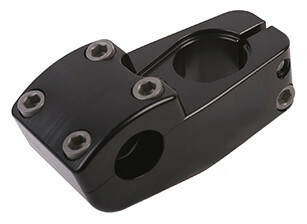 Plates attach to the frame’s also 8mm thick dropout mounts. Frame is fatigue tested to over 100,000 cycles. Aircraft grade 6061 T6 aluminum alloy TIG welded. Built with oversized 1.4” diameter legs. Steering via a 1 1/8” steerer tube and Post Disc Brake mounts made of solid alloy TIG welded to the legs and dropout. Forks are painted to match the frame colors. Semi-Integrated Zero Stack 44mm cartridge bearing system. 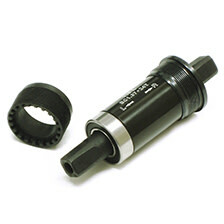 Threadless 1 1/8” steerer with anodized alloy cone & top cap. Available in black only. 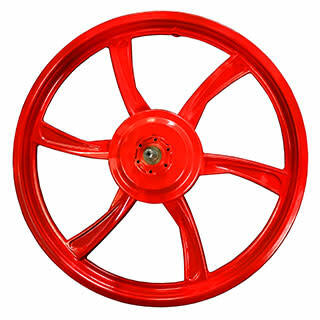 Solid aluminum alloy with 48mm extension and 30mm height. Threadless mounting over a 1 1/8” steerer tube. 4 bolt face plate for secure mounting. Available in black only. Cromoly for strength and 25”-27” wide with the right amount of sweep at 8°. Added welded cross bar for strength. Available in black only. 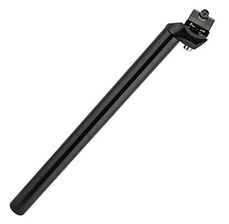 Aluminum alloy seat post with an alloy integrated mount. Quick single bolt adjustment for a quick fore & aft plus angled adjustment. Available in black only. 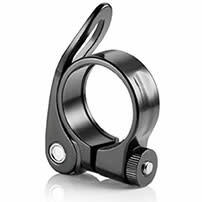 Quick release 31.8mm aluminum alloy incorporating a reduced friction lever. Available in black only. Velo BMX full size comfort for that extended trip. Available in black, blue, green, orange, pink or red. Aluminum 160mm crank arms matched to a 44T chain ring. Available in black only. Sealed cartridge bearing shell design with square tapered spindles. 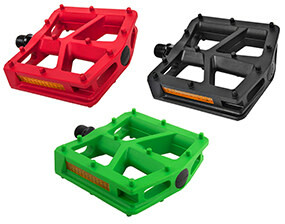 Composite full surface platforms with integrated grip pins on 9/16” spindles. Available in black, blue, green, orange, pink or red. KMC’s Z410 1/2” x 1/8”. 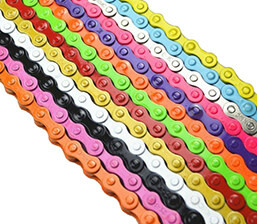 Considered the industry’s perfect BMX single speed bike chain. 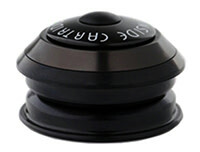 Incorporates KMC’s Anti-Drop feature. Available in black, blue, green, orange, pink or red. 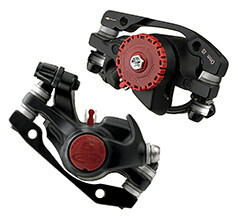 Avid BB5 DISC BRAKES are an industry “BEST IN CLASS” offering great stopping power. High performance Melt-Forged alloy caliper body sits on Avid’s patented Tri-Align Caliper Positioning System for that always perfect adjustment. 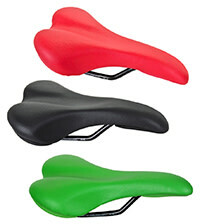 Tool-free pad adjustment and pad replacement. 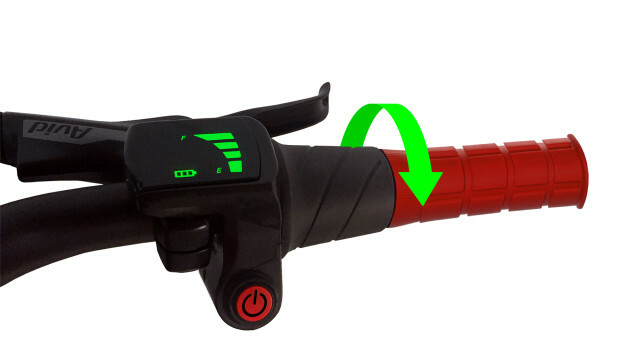 Combined with Avid FR-5 Reach Adjust levers incorporating Bend Zone™ technology. Avid G2 CleanSweep solid stainless steel 160mm rotors. 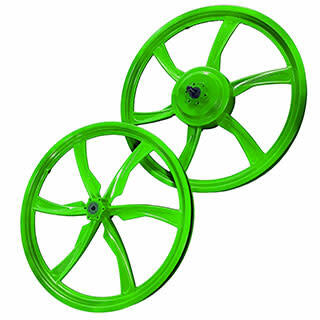 Clean Sweep design helps keep the dirt and grime free from the rotors and pads. Magnesium casted strong in 20” x 1.95”. Specially developed for ProdecoTech’s Integrated Geared HUB motor system. 6 bolt disc brake mounts. Maintenance Free, never needs trueing! Available in black, green, purple or red. Kenda Kontact K841 20” x 1.95” proven success freestyle BMX unidirectional tire. Knurled surface tread design for low resistance rolling but high traction and control. 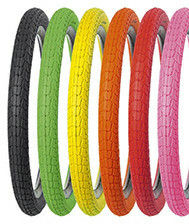 Wrap around tread design for improved cornering and large lean-over control. Available in black, blue, green, orange, pink or red. Integrated magnesium wheel rim HUB design with ProdecoTech’s 250W (330W Peak – 12mph) or 350W (420W Peak – 20mph) Free Spinning Planetary Gear motor system. Free spinning rides just like a traditional bike and power on demand engages the motor. Includes 16T freewheel. Control your Power. Twist the throttle for Power on Demand. The more you twist, the faster you go! Smart App link to speed, power, distance and more. Know how far and how long to go. Check your speed, distance and battery capacity on your phone. Smart maintenance and service feature included. 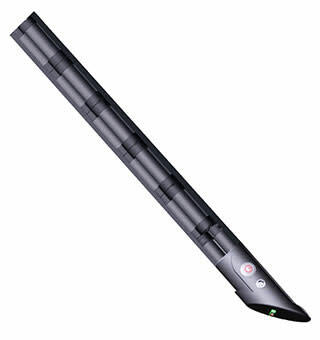 Integrated down tube lithium ion incorporating proven 18650-29E high grade NCA cells, Built to Last. Available in a 8.7Ah (25.9V8.7Ah 350-420W motor – 20mph), depending on power and speed. Charges to 29.4V. Built in SMART BLUETOOTH BIKE Monitor and motor controller. 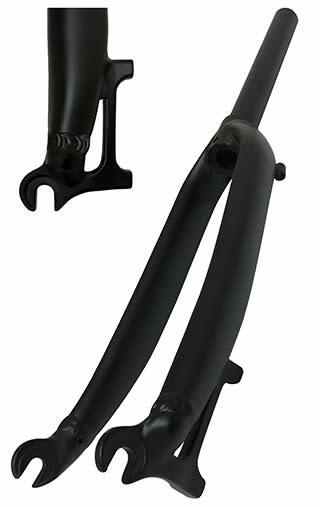 Slides in and out of the down tube for easy replacement. 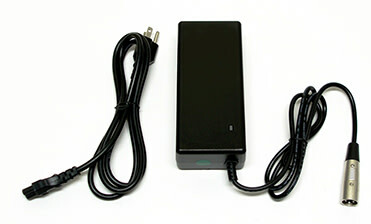 SMART Charger with automatic cutoff. Charges at 29.4V2A (60 Watts per Hour).